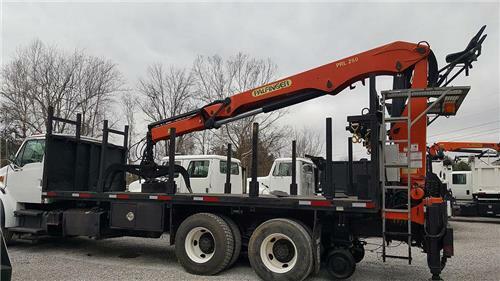 2005 Sterling Hi Rail Knuckle Boom Truck. This truck is has a Mercedes Engine and is also Equipped with a Pal-Finger PRL-250 Knuckle boom Loader. **AM/FM Stereo and Air Condition. This tuck is super clean, and will go straight to work.